Part Number : F026400468. The Bosch Group is a leading global supplier of technology and services. If its sales and service partners are included, then Bosch is represented in roughly 150 countries. Part Number : F026400040. The Bosch Group is a leading global supplier of technology and services. If its sales and service partners are included, then Bosch is represented in roughly 150 countries. The Bosch Group is a leading global supplier of technology and services. If its sales and service partners are included, then Bosch is represented in roughly 150 countries. Wash & Wipe. 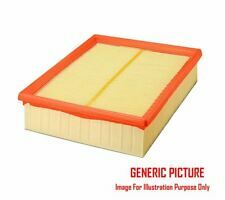 Be aware that your Model of Vehicle may have a choice of 2 / 3 different Air Filter Options. In the vast majority of cases, there is no need to flush the engine and flushing can be harmful. What can happen is the flush can loosen harmless deposits in the engine, but then not remove them. After running it, drain out the mineral oil and put in the correct oil. Part Number : F026400525. The Bosch Group is a leading global supplier of technology and services. If its sales and service partners are included, then Bosch is represented in roughly 150 countries. Bosch Spark Plugs. Bosch Oxygen Sensors. Bosch Glow Plugs. Lucas Oxygen Sensor. Delphi Oxygen Sensors. Denso Oxygen Sensors. NTK NGK Oxygen Sensors. 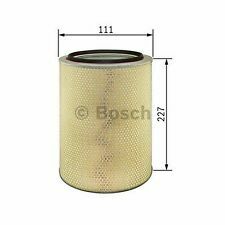 Bosch is one of the world's leading manufacturers of gasoline and diesel systems, so no one is better placed to specify the right filter than Bosch. Filter type : Filter Insert. VW 044 129 620. OE Numbers. Part Number : F026400440. The Bosch Group is a leading global supplier of technology and services. If its sales and service partners are included, then Bosch is represented in roughly 150 countries. 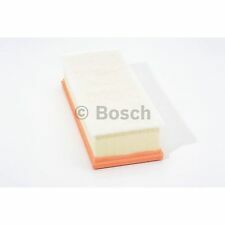 Air Filter fits BMW 318 E90 2.0D 07 to 11 Bosch 13717797465. ALPINA D3 (E90) 2.0 Bi-Turbo Saloon Diesel 07/2008 05/2013 RWD 16 214 157. BMW 3 (E90) 318 d Saloon Diesel 02/2007 10/2011 RWD 16 143 105. BMW 3 (E90) 318 d Saloon Diesel 02/2007 03/2010 RWD 16 136 100. Part Number : F026400238. The Bosch Group is a leading global supplier of technology and services. If its sales and service partners are included, then Bosch is represented in roughly 150 countries. Part Number : F026400478. The Bosch Group is a leading global supplier of technology and services. If its sales and service partners are included, then Bosch is represented in roughly 150 countries. Part Number : F026400475. The Bosch Group is a leading global supplier of technology and services. If its sales and service partners are included, then Bosch is represented in roughly 150 countries. You can check if this part is correct for your vehicle using the Bosch Online Catalogue. This part is equivalent to the following part numbers: BOSCH: S 3153, OPEL: 4702969, OPEL: 9195316, SUZUKI: 13780 83E00 000, SUZUKI: 13780-83E00, VAUXHALL: 9195316, CLEAN FILTERS: MA 1182, COOPERS: AG 1423, FILTRON: AP 190, FRAM: PA7376, HENGST FILTER: E471L, HERTH BUSS JAKOPARTS: J1328026, KNECHT: LX 737, MAHLE FILTER: LX737, MANN-FILTER: C 2579, PURFLUX: A 1109, TECNOCAR: A 2021, TEHO: 2727, UFI: 30 129 00, WIX FILTERS: WA6707. Part Number : F026400417. The Bosch Group is a leading global supplier of technology and services. If its sales and service partners are included, then Bosch is represented in roughly 150 countries. You can check if this part is correct for your vehicle using the Bosch Online Catalogue. This part is equivalent to the following part numbers: BOSCH: S 9173, OPEL: 9214143, SUZUKI: 13780 84E50 000, SUZUKI: 13780-84E50, FILTRON: AP 190/2, GUD FILTERS: AG 101 4, MAHLE FILTER: LX174/3, MANN-FILTER: C 3118, WIX FILTERS: WA9512. Part Number : F026400530. The Bosch Group is a leading global supplier of technology and services. If its sales and service partners are included, then Bosch is represented in roughly 150 countries. Part Number : F026400612. The Bosch Group is a leading global supplier of technology and services. If its sales and service partners are included, then Bosch is represented in roughly 150 countries. Part Number : F026400080. The Bosch Group is a leading global supplier of technology and services. If its sales and service partners are included, then Bosch is represented in roughly 150 countries. Part Number : F026400242. The Bosch Group is a leading global supplier of technology and services. If its sales and service partners are included, then Bosch is represented in roughly 150 countries. Part Number : F026400370. The Bosch Group is a leading global supplier of technology and services. If its sales and service partners are included, then Bosch is represented in roughly 150 countries. Part Number : F026400614. The Bosch Group is a leading global supplier of technology and services. If its sales and service partners are included, then Bosch is represented in roughly 150 countries. Part Number : F026400241. The Bosch Group is a leading global supplier of technology and services. If its sales and service partners are included, then Bosch is represented in roughly 150 countries. Part Number : F026400548. The Bosch Group is a leading global supplier of technology and services. If its sales and service partners are included, then Bosch is represented in roughly 150 countries. Part Number : F026400581. The Bosch Group is a leading global supplier of technology and services. If its sales and service partners are included, then Bosch is represented in roughly 150 countries. MPN - F026400026 / S0026. VOLVO S60 I - V40 - V70 Mk II - XC70 CROSS COUNTRY - XC90 I 2.4. The information provided in the compatibility should be used as a guide only. AIR FILTERS. IMPORTANT NOTE. ======================. Part Number : F026400303. The Bosch Group is a leading global supplier of technology and services. If its sales and service partners are included, then Bosch is represented in roughly 150 countries. Part Number : F026400534. The Bosch Group is a leading global supplier of technology and services. If its sales and service partners are included, then Bosch is represented in roughly 150 countries. Part Number : F026400307. The Bosch Group is a leading global supplier of technology and services. If its sales and service partners are included, then Bosch is represented in roughly 150 countries. Part Number : F026400527. The Bosch Group is a leading global supplier of technology and services. If its sales and service partners are included, then Bosch is represented in roughly 150 countries. Part Number : F026400599. The Bosch Group is a leading global supplier of technology and services. If its sales and service partners are included, then Bosch is represented in roughly 150 countries. Part Number : F026400499. The Bosch Group is a leading global supplier of technology and services. If its sales and service partners are included, then Bosch is represented in roughly 150 countries. FIAT 1909128, 19091410, 79022025, 79081327, 9955976, 9957811. LANCIA 1909128, 19091410, 79022025, 9955976. Filter type Filter Insert. Function Air Filter. HENGST FILTER E680L. MAHLE FILTER LX649. Other references. SAAB 12788338, 32016013. CADILLAC 12788338. SCANIA 12788338. CADILLAC BLS 1.9 D Saloon Diesel 04/2006 on FWD 16 150 110. Filter type Filter Insert. Function Air Filter. MAHLE FILTER LX1817. Other references. Filter type : Filter Insert. PEUGEOT 1444 W6. PEUGEOT 1444 W5. PEUGEOT 1444 CE. CITROËN 1444 TZ. Part Number : F026400144. The Bosch Group is a leading global supplier of technology and services. If its sales and service partners are included, then Bosch is represented in roughly 150 countries.